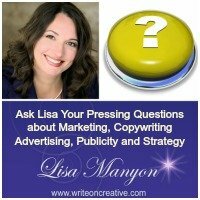 «Ask Lisa: How important is storytelling in copy for advertising and marketing? Stolen ideas have been on my mind lately. Because you are reading this blog, you are likely a mover, shaker and change maker. This means you think differently than most people. Like me, you’re tired of the cookie cutter, paint by number systems as they don’t apply to your unique calling and mission. So, to break away from the crowd you do things on your own terms and often that means you need a new perspective and ways to look at your business that maybe you have not thought about before. In fact, you probably find yourself listening to audio books, reading, participating in training, courses or workshops, and realizing “oh my GOSH, it’s like this person’s in my head!”. This has happened to me on more occasions than I can count. It’s both exciting and frustrating. The first time this happened it really blew my mind. I was listening to the Audible version of The Innovative Secrets of Steve Jobs. Everything that was being shared about his philosophies (and at that time I didn’t know much about what made him tick) were in exact alignment with what I’ve been teaching for years (often intuitively with a deep knowing that this is just the way business should be done to help humanity). The “Oh my GOSH” moment happened again while reading many of Seth Godin books (including Purple Cow and All Marketers are Liars). Many of these philosophies were already in my head. Yet, here was another person sharing the same thing and getting the ideas out in a BIG way (and getting tons of recognition and leverage for being the thought leader on the topic). While listening to The Pumpkin Plan I had another “Oh my GOSH” moment. The book was recommended by a client/colleague who was RAVING about it – and it’s good—and it’s also the same philosophies I teach with a few subtle twists. The difference – -the author WROTE his book, owned his message in a bigger way and shared it. Let that sink in. Has THIS happened to you? How did you feel about it? Did you take action to create your own legacy? Did you feel like someone had stolen your idea? (I hear that a lot but I don’t think it’s true). In essence, all of these ‘ideas’ found a place where someone would give them a home, nurture them and share them with others to facilitate change. Not too long ago I was reading Big Magic: Creative Living Beyond Fear by Elizabeth Gilbert. 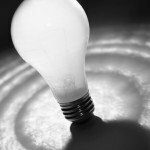 Elizabeth believes that ideas don’t actually belong to anyone but rather they are energy and have free will. Giving this notion consideration has made me get really clear on action I need to take to create my legacy and be a stronger leader. It also made me realize that it’s my own fault if I don’t own my idea and take action and someone else does. And this can impact your legacy work. Today I invite you to do one of two things or both if you’re feeling it. 1) Reply to this post by sharing your “Oh my GOSH” moment and which book or body of work prompted it. 2) To stay up to date on what’s happening with the Write On Creative Community visit www.writeoncreative.com to join and get your Copywriting Action Plan. What if by NOT taking action on your ideas, you’re actually stealing from yourself? This entry was posted in Manyon's Musings, Marketing Strategy, Personal Development	on Monday	May 13, 2017 at 10:38 am. You can follow any responses to this entry through the RSS2.0 feed. You can also leave a response.